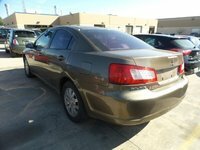 The 2009 Mitsubishi Galant earns top marks in safety tests, and its low pricetag and long-term warranty appeal to those looking for an economical midsize sedan. A limited list of features and low-grade cabin materials make the '09 Galant feel out of date next to its more refined competitors. The '09 Galant could be characterized as the Jan Brady in the crowded bunch of midsize economy sedans on the market. Although it offers decent handling, a roomy and comfortable front seat, a powerful V6 engine, and family-friendly safety features, it does little to distinguish itself in terms of looks and style. In dire need of an update to bring its quality more in line with that of the Accord and Camry, the Galant still provides commuters a solid and affordable, if somewhat bland, ride. A minor facelift and a reshuffling of trims probably do little to help the 2009 Mitsubishi Galant stand out in an overcrowded field. Trying to compete with the Altima, Accord, Camry, and Malibu, this front-wheel-drive midsize sedan offers comparable power and fuel efficiency, but outdated cabin materials and limited standard features. For 2009, the Galant loses the base DE, with the ES taking its place as the entry-level trim. Added to the lineup are the Sport and Sport V6, which add some appearance features and more high-end equipment, such as heated seats, extra chrome, alloy wheels, and a sunroof. The performance-tuned Ralliart returns with some serious street cred, equipped with a sport-tuned suspension, larger brakes, and an enhanced version of the V6 engine. On the outside, the '09 Galant gets rid of its previous bubble look by adding more angles and sculpted lines to its front and rear fascias. A new grille includes a larger lower intake. The taillights and trunk lid also receive minor updates. The Galant's appeal lie in its low pricetag and 10-year/100,000-mile powertrain warranty. It performs solidly and features a decent amount of cabin space for passenger comfort. Compared to other sedans in its class, it also offers much more value-oriented option packages. However, its build quality, low-grade materials, and rough ride face an uphill battle against other economical, but more refined and higher-end options on the market. 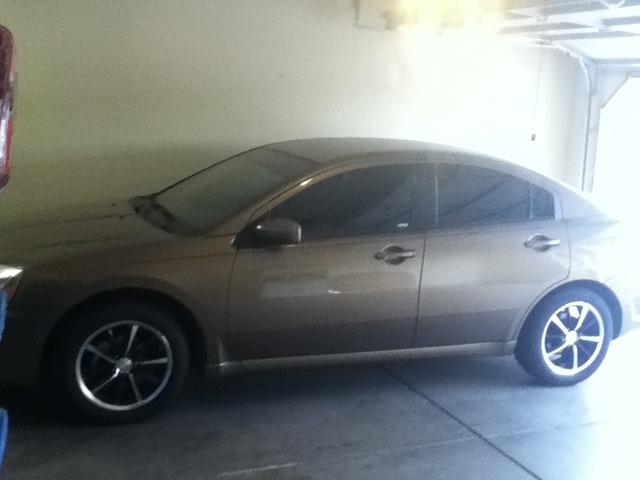 The 2009 Mitsubishi Galant offers two engines across its four trims. Both the ES and Sport carry a 16-valve, 2.4-liter DOHC inline four engine paired with a 4-speed automatic transmission with manual mode. The powertrain puts out 160 hp and 157 lb-ft of torque at 4,000 RPM, with fuel economy averaging a decent 20/27 mpg. Some owners report highway numbers well into the 30s. The Sport V6 ups the ante with a 24-valve, 3.8-liter V6 and a 5-speed automatic with manual mode. The V6 adds a lot more kick and fun to your commute, delivering 230 hp and 250 lb-ft of torque at 4,500 RPM. 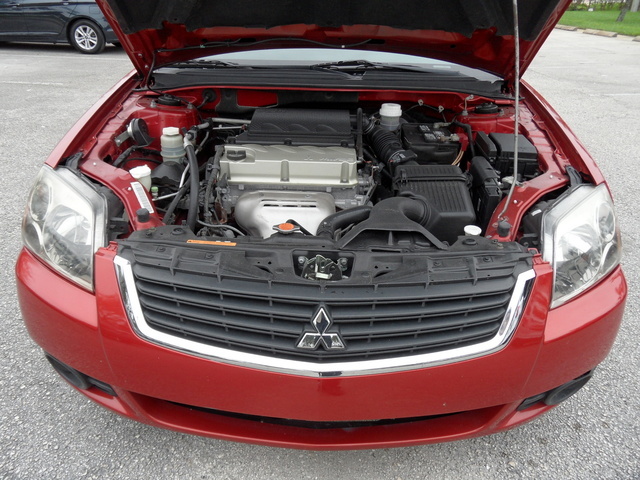 The performance-oriented Ralliart trim tweaks this engine to achieve 258 hp and lb-ft of torque. Its 0-60 times measure 6.5 seconds, comparable to the Camry and Altima. The sacrifice is a reduction in fuel economy to 17/25 mpg. While most owners enjoy the manual mode of the Sportronic over the slushy feel of the automatic, some reviewers criticize the lack of a manual transmission. While the four-cylinder feels underpowered and can be annoyingly noisy at high revs, the V6 offers great off-the-line acceleration and confident passing power. The main drawback for both engines lies in the requirement of premium gas. Consensus has it that the 2009 Galant delivers a much harsher ride than its competitors, picking out every tiny bump and dip in the road and transmitting it straight to passengers, even when driving slowly. This sensation only gets worse with the firmer suspension of the sporty Ralliart. Riding on a Macpherson strut front and multilink rear suspension, the front-wheel-drive Galant feels too large and heavy to really deliver on the crisp driving dynamics promised by the Ralliart, according to one test driver. On the plus side, the V6 powertrain is fast and fun, with a smooth and easy transmission, although one reviewer says it suffers from torque steer. The four-cylinder struggles a bit more (and lets you hear it), but works adequately around town as a commuter car. Along with some engine noise from the inline four, wind and tire noise also intrudes, particularly in cars equipped with the larger 18-inch wheels. Reports on the steering mention the typical numbness of most midsize sedans, but the Galant actually feels more precise and responsive than many of its rivals, offering good direct driver feedback. Handling overall feels solid and steady, but not particularly nimble or quick, even in the Ralliart. A wide turning radius does not help. A roomy front row, with supportive seats and well-placed controls, characterizes the cabin of the 2009 Galant. The sedan seats four comfortably in two rows with an interior design that both critics and owners find stylish. Many agree that it feels a lot more spacious than it looks. Drivers gets 42.6 inches of legroom and good thigh and back support from the non-slip fabric. The Ralliart adds extra bolstering to compensate for its sportier dynamics. 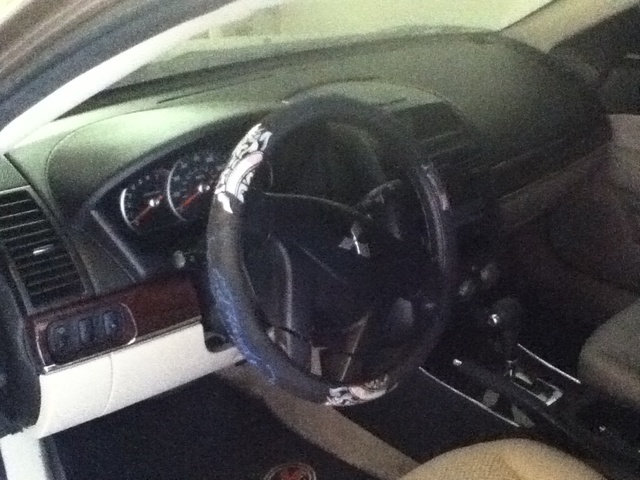 A tilt steering wheel adjusts for driver comfort, but lacks a telescoping feature. Controls are large and easy to read, illuminated in white with blue backlighting. The optional navigation system, however, confused one test driver with its mixture of buttons and touchscreen. Second-row passengers feel a bit more cramped, with only 37 inches of leg and headroom. Most other midsize sedans offer a few more inches to stretch out, but the '09 Galant still works as a family car. One critic finds the rear seats lack any thigh support and reduce the comfort factor on long trips. Unlike those in other sedans in its class, the rear seats do not split-fold. Cabin access to the trunk is via an armrest that doubles as a pass-through. The trunk holds 13.3 cubic feet of storage, which measures about 1-2 cubic feet less than the Accord and Camry's. 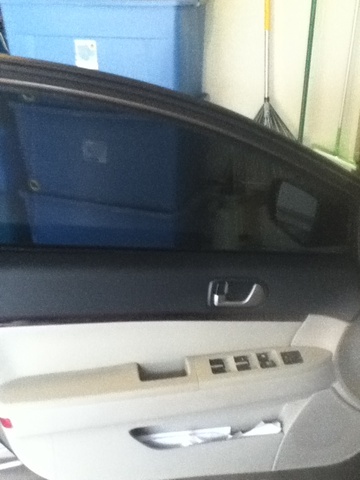 Test drivers and owners find interior storage lacking in the '09 Galant. Four cupholders, one flimsy seatback net, and awkwardly shaped door pockets provide minimal convenience. The center console also adds storage capacity. The overall fit and finish of the cabin materials could be better, according to all who drive the Galant. The faux wood finish on the ES and Sport trims, and the faux silver finish on the Ralliart, look cheap and gaudy, and the hard plastics show early wear and tear. Several owners find the swirling patterned finish looks more like messy fingerprints than high-end marble. The nooks and crannies of the dashboard collect dust. The base ES Galant offers the basics of a midsize sedan, featuring power windows, locks, and mirrors, cruise control, and a CD/MP3 player. No trim in the lineup carries an MP3 jack, which makes the '09 Galant feel outdated. Upgrading to the Sport adds a lot more in the way of features. Equipment includes heated mirrors and seats, a sunroof, automatic climate control, wheel-mounted audio controls, an 8-way power driver's seat, and two-tone fabric. The Sport V6 amps up the volume with a 6-CD changer and Rockford sound system, along with satellite radio. On the outside, it adds alloy wheels. 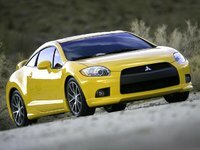 The Ralliart takes its sports car pretensions seriously, if not superficially, with bolstered leather seats, a trip computer, and aluminum pedals, with a rear spoiler and color-keyed handles and mirrors on the exterior. 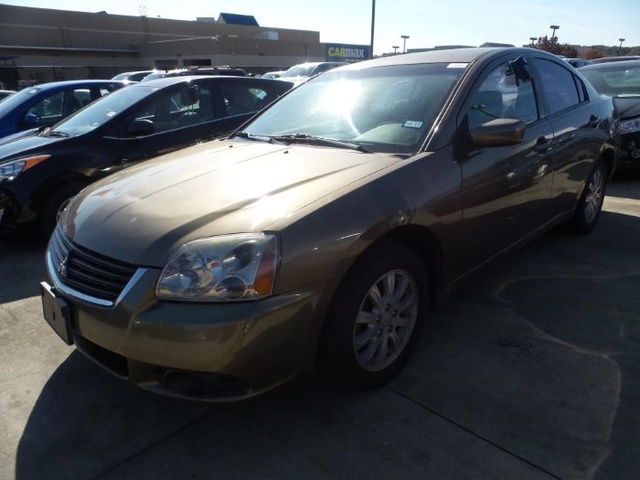 The '09 Galant offers a Sun, Sound, and Leather package, offering most of the features of the Ralliart as an option. Exclusive to the Ralliart is an optional navigation system. The '09 Galant continues to score well in crash tests, despite the lack of standard or optional stability control. The NHTSA gives the sedan five stars in front and side impact tests and four in rollovers, while the Insurance Institute bestows its highest Good rating. The Galant features strong four-wheel disc and ABS brakes with electronic brakeforce distribution, dual front-side and side curtain airbags for both rows, and passenger airbag cutoff sensors. Traction control comes standard on the Sport V6 and Ralliart trims. Other standard accessories include daytime running lights, automatic headlights, and a tire monitor. Owners of the 2009 Mitsubishi Galant love their car, particularly for its affordability, high fuel economy (in the four-cylinder), and the 10-year/100,000-mile powertrain warranty. They find the V6 fun and powerful, paired with a smooth transmission. Drivers also like the new styling changes, which they claim turns heads and receives positive comments from onlookers. A comfortable interior and easy handling improve the driving dynamics, and Mitsubishi's reputation for reliability and safety pleases family buyers. Overall, drivers feel the '09 Galant represents a good (and secret) value for the money. Several owners, however, call the interior “chintzy” and most agree that the low-grade plastic shows scratches and dents too easily. Other complaints about the interior focus on the lack of a power outlet and the tendency for the dash to collect dust quickly. The rough and unforgiving ride is a definite low point, along with the noisy four-cylinder engine. Another repeated gripe mentions that the gap below the front grille attracts litter and rocks, and more than a few owners do not like that the headlights cannot be turned off when idling. CarGurus drivers have not registered any opinions of the 2009 Galant, but the virtually identical 2008 version earns praise for its smooth transmissions, fuel efficiency, and roomy cabin. 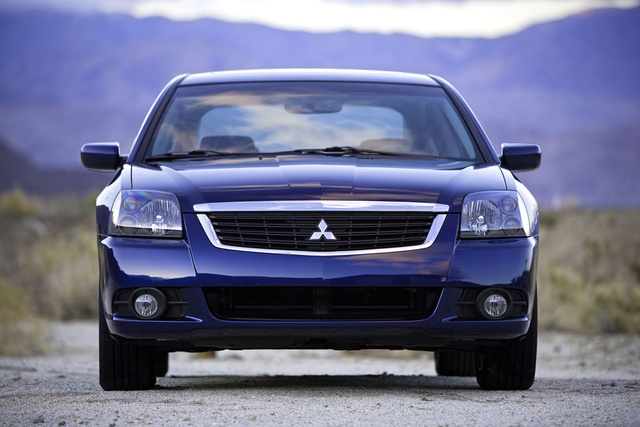 What's your take on the 2009 Mitsubishi Galant? 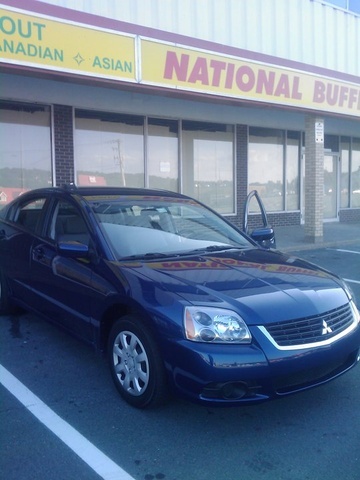 Have you driven a 2009 Mitsubishi Galant? My Low Beam Haedlights Don't Work, But All Other Lights Work. Any Ideas? My low beam headlights stopped working. I've checked the fuses and bulbs, but both are fine. All the other lights work, fog lights, marker and turn signals, high beam all work. How Do I Know It Is My Starter That's Bad And Not Just A Wire? I have read that it could be a wire that is bad going to my starter but how can I tell? I am not in a financial situation where I can afford to pay if it's not needed.